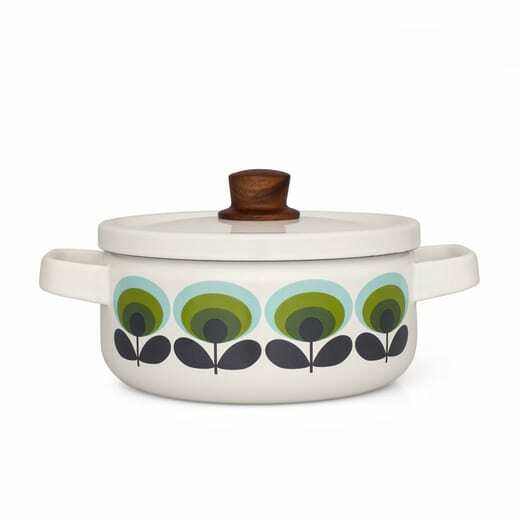 The saucepan with its 70's floral motif is a beautiful design piece. The bold colors make it fun to watch alone, and the classic retro style adds a stylish twist to the kitchen and dining table. The handle made of acacia wood is heat-resistant, and can be removed to make the pot dishwasher-safe. Das Goodshaus in Berlin, Germany.